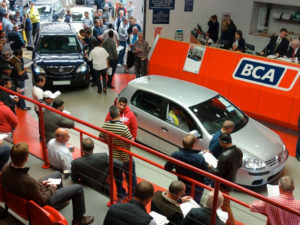 Although the headlines may be filled with stories of ‘dirty diesels’ and car buyers moving to cleaner alternatives, diesel values remain positive with continued used buyer demand, latest BCA figures show. BCA figures show the average diesel car retained its value slightly better than in 2016. Analysis by the auction and remarketing specialist shows that average diesel values have improved year-on-year, with diesel values rising by £841 (8.8%) to £10,348. Auction firm Aston Barclay has also said that it expects diesel values to remain consistent over the coming year. After analysing all elements of the used market, the firm says diesel prices have been more consistent than petrol, based on deflation alone on three-year-old 60,000 mile ex-fleet cars. “Cap HPI recently published a year-on-year deflation graph of diesel vs. petrol at three years and 60,000 miles and since January 2015, diesel prices have been very consistent while petrol prices fell more dramatically,” explained Aston Barclay’s group operations director Martin Potter. “In November 2016 petrol and diesel deflation was identical and it will be interesting to see how this maps out during 2017 as the market copes with additional used volumes after diesel sales peaks in 2014 and 2015,” he added. The firm added that its analysis shows changes in the proportion of diesel and petrol vehicles making up the used market, the move away from diesel is likely to be a gradual process. “Most consumers base their buying decision on affordability and fuel costs when they purchase a used car. If used diesel prices do fall due to increased supply, then demand is likely to increase. Motorists are used to achieving 10-20% improved fuel economy with their diesel car so are not likely to turn their back on the fuel any time soon,” added Potter.